You know that I'm concerned about the relationship between sleep apnea and atrial fibrillation. You also know that atrial fibrillation can overwork the heart and lead to heart failure. Thus, a newly launched study investigating how breathing difficulties during sleep affect heart failure patients is very heartening in that hopefully we'll learn more about the relationship of sleep apnea and heart failure. That may have implications for those with atrial fibrillation that have either of these other conditions. According to this study, up to three-fourths of heart failure patients have "sleep-disordered breathing" where normal breathing is disrupted during sleep. About two-thirds of those with significant sleep-disordered breathing have central sleep apnea, where breathing is shallow or stops. This particular study focuses on central sleep apnea, which is different from obstructive sleep apnea. Central sleep apneas are caused by problems in controlling respiration, whereas obstructive sleep apneas are caused by collapsing of the upper airway during sleep. CPAP (continuous positive airway pressure) machines are used in treating sleep apnea, and since this study is sponsored by a CPAP company, results will likely skew in that direction. The goal is to determine if breathing support from an automated CPAP machine (sometimes called APAP), one which adapts to breathing changes during the night, can decrease the progression of heart failure by maintaining normal breathing during sleep. The study results will likely contain important information for afib patients, but those results will be at least four years away. So what does that mean for us in the meantime? Through research, I have come to the realization that anyone diagnosed with afib should discuss with their doctor whether they have any indications of sleep apnea. That may mean having a sleep study (not cheap) to rule sleep apneas in or out. If you have it, treat it. We already know that there is a greater risk of atrial fibrillation among those with obstructive sleep apnea than even among those with other cardiovascular diseases. Treating it may help your afib. If you have sleep apnea, treatment is probably a pre-requisite to having any procedure to correct your afib. We know that afib patients with untreated sleep apnea are more likely to revert back into afib after electrical cardioversion than afib patients without sleep apnea. It's not too big a jump to presume that that could apply to catheter ablation and surgery as well. Thus, having been diagnosed early this year with sleep apnea, I am aggressively treating it in hopes that doing so will keep that afib beast at bay. Do you have both atrial fibrillation and sleep apnea? 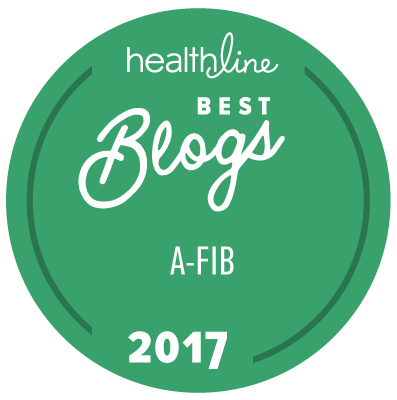 Please post your comments at the Atrial Fibrillation Blog.